Women with PCOS will suffer from irregular periods, excess androgens (which can cause acne or excess hair growth) and polycystic ovaries. During every menstrual cycle, follicles grow on the ovaries and within these follicles eggs will develop. 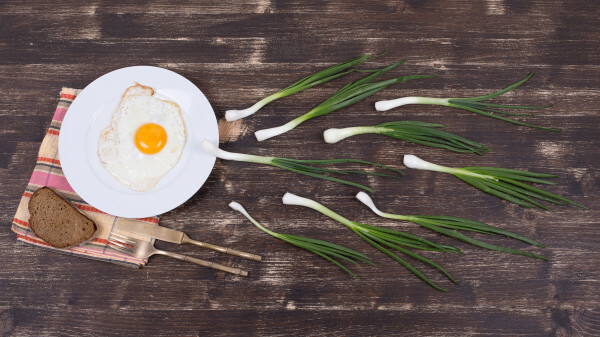 Usually, one egg reaches maturity faster than the others and it is released into the fallopian tubes – which is known as ovulation. The remaining follicles degenerate after this. However, when a woman has polycystic ovaries the ovaries will be much larger than normal and there will be a series of undeveloped follicles that will appear in clumps. This doesn’t really cause a problem, unless the cysts start to cause a hormonal imbalance. This is when the body starts to produce more androgens, which are male hormones that lead to the frustrating side effects of PCOS. These male hormones will interfere with the production of the female hormones within your body that are necessary for ovulation. When your body isn’t ovulating, it will not be producing progesterone which is the hormone that causes the lining of the uterus to thicken. This will result in an absence of periods and irregular menstruation. 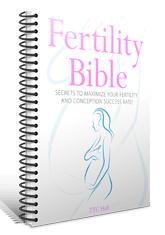 When you do not ovulate or menstruate, it is just not possible to conceive (learn more in our Conception Basics article). 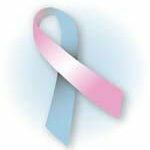 PCOS also has a lot of negative affects on a woman once she is pregnant. Women with PCOS tend to have a higher rate of gestational diabetes, miscarriage, premature delivery and preeclampsia- which is pregnancy induced high blood pressure1. Also, babies who are born to women with PCOS have a higher risk of spending time in a neonatal intensive care unit or dying shortly after birth2. PCOS also puts women at risk for other health problems, including diabetes, heart attack, high blood pressure and sleep apnea. Women with PCOS can also develop depression and anxiety. The good news is that PCOS doesn’t need too mean an end to your fertility and it doesn’t necessarily stop you from conceiving a child. If it is left untreated it will stop you from becoming pregnant, but there are steps you can take to reduce the effects of PCOS and help your body conceive. First of all, losing the extra pounds so that you are at a healthy body weight is one of the most important things you can do to combat the effects of PCOS. Scientists have discovered that even modest weight loss will improve the symptoms of PCOS3. Whether you are slightly overweight or very obese, improving your diet and increasing your exercise will help you to manage this disorder. Before you start on a weight loss journey, talk to your doctor to develop an exercise and diet program that is right for you. Your doctor will be able to help you decide which foods you should be eating and what your daily calorie intake should be. Also, they will be able to recommend exercises that are appropriate for your level of fitness. Plus, your healthcare provider can help you to monitor your weight loss and keep track of your progress so that you can have a better understanding of your health. When you reduce your body weight down to a healthy weight, you will decrease any hormonal abnormalities within your system. Sometimes even losing as little as 5% of your body weight can improve insulin resistance, according to research4. This will lead to improvements in your PCOS symptoms, such as improving your menstrual function, reducing your androgen levels and improving your cholesterol. When you are losing weight in order to help with your PCOS, you will want to focus on a diet that is geared toward improving your insulin sensitivity rather than just a traditional low-calorie diet. This means a low-carb diet that has a lot of foods with a low Glycaemic Index. Take the time to learn about which foods will help your PCOS and which will make it worse, so that you can create a diet that will assist you in your fertility goals. Losing weight will also help with many other aspects of your life and will make you feel more energetic, confident, healthy and happy. What foods should you avoid if you suffer from PCOS? Here are some of the foods that will have a negative effect and make your symptoms worse if you have this disorder. Many women with PCOS have higher insulin levels than normal, which will cause them difficulty when they are losing weight. This is because the main role of insulin is controlling blood sugar and it will cause fat storage5. If you can eat fewer sugary foods and cut down on your simple carbohydrates you will be able to lose weight, lower your risk of diabetes and feel a lot better. This means you should avoid sweetened cereals, cookies, sweetened juices, soft drinks, candies, baked goods and other sugary foods. PCOS sufferers should avoid white flour because it is a simple carbohydrate. This includes bagels, white bread, cookies, cereals, muffins, cupcakes and other baked treats. Instead, look for the whole wheat version made with whole-grain or multi-grain flour. Women who suffer from PCOS should try to limit their intake of sodium as much as possible. Pay attention to the level of sodium in the foods you eat – often the sodium level is very high on many processed foods so make sure that you read the label carefully before you choose what to eat. Watch out for high sodium levels in canned vegetables, pre-made soups, smoked meats, salted nuts, chips, and microwave meals. Instead of seasoning your food with salt you can try lemon juice, herbs, black pepper, mustard or vinegar. PCOS sufferers should avoid eating too much saturated fat. Instead, it is better if you opt for lean meats, fat free dressing, skinless poultry, white meat and fat free dairy. You can also cut down on your fat intake by broiling, steaming, baking or grilling food rather than frying it as this will avoid excess oil. If you must use oil, you should look for olive oil which is high in unsaturated fats. Make sure that you look closely at the labels on all of your food so that you can eliminate those that are high in cholesterol and saturated fats. So now that you know the foods to avoid eating for a PCOS diet, what foods should you be eating instead? Here are some of the most beneficial foods for a PCOS diet that will help to improve your health. Green leafy vegetables such as spinach and kale are wonderful for your health because they contain more nutrients per calorie than any other food. They are very high in magnesium, potassium, calcium and iron and they also contain many of the B vitamins as well as K, C, and E. Vitamin B is responsible for hormone balance, thyroid function, fat metabolism and much more, so it plays a very important role in the management of PCOS6. Vitamins B6, B5, B3 and B2 help to improve your thyroid function, help you manage your sugar and fat metabolism and better render your hormone balance. 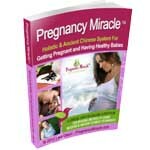 This is essential for PCOS management and will help to improve fertility. The minerals in green leafy vegetables such as broccoli, spinach and kale will also help to neutralise the acidity that is caused by impaired glucose tolerance and inflammation. Try to eat as many coloured vegetables as possible, from green peppers to purple eggplants to orange sweet potatoes to red tomatoes. These vegetables don’t just look delicious, they are also filled with many powerful antioxidants that will help you to neutralise the harmful effects of oxidative stress on the body. Some women with PCOS are hesitant to include fruit in their diet because they fear it will cause a sudden spike in blood sugar levels. However, fruits are important for health and they contain vitamins, minerals, phytonutrients and fibre. Make sure that the fruits you choose have a low Glycemic Index, such as strawberries, limes, grapefruit, apricots, cantaloupe, lemon, pear, watermelon, oranges, guava, nectarines, blueberries, kiwifruit and apples. Also, try to eat a handful seeds or nuts along with the fruit as this will help to control the sudden sugar spike. Not all fats are bad. In fact, there are certain types of fats that are very good for your body. These beneficial fats are very important for maintaining your cells and removing toxins as well as helping you to maintain a healthy weight. Healthy fats can be found in nuts, seeds, olive oil, avocado and oily types of fish such as salmon and tuna. Salmon is also a source of vitamin D, which helps to relieve problems associated with PCOS. Tuna has B vitamins and vitamin D, so it is also very beneficial7. If you do eat meat, it should be good quality lean meat that is organic and pasture fed. It will be leaner and contain fewer harmful hormones than standard meat. Also, eating organic meat is important because livestock is often fed grains and feed that has been genetically modified or contains pesticides. These can have a negative effect on PCOS and your hormone balance8. If your diet is low in fibre, try to add more fibre containing foods. You should aim to eat 25-30 grams of fiber per day, but you might need to add more fiber to your diet gradually so that you can minimize any gastrointestinal upset. Vegetables can be a great source of fiber, such as cabbage, celery, lettuce, broccoli, spinach, radishes, turnips and watercress. Also, you can add more legumes into your diet, such as black eyed peas, lentils, soy beans, kidney beans, chickpeas and lima beans. Fruits can also contain fibre, so it is a good idea to eat more raspberries, apples, grapefruit, peaches, cherries, plums and pears. Try to reduce the amount of salt in your diet, as this will also help with your PCOS symptoms. Instead of using salt on your food, try other alternatives such as pepper, vinegar mustard, herbs and lemon juice. Also, when it comes to smoked or cuts meats, salted nuts, meats, marinades and sauces you should eat these foods sparingly. Try to minimize your intake of processed foods and eat more healthy whole foods. 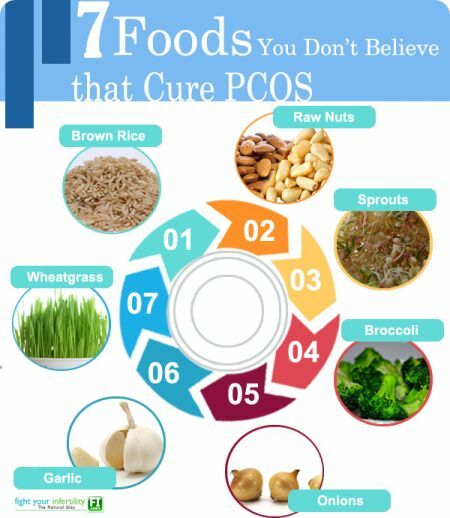 If you are adding a lot of these foods that are beneficial to PCOS to your diet, you are likely to get all of the vitamins and minerals that you need. However, in many cases women with PCOS will still be lacking some nutrients so it is a good idea to take a multivitamin so that you can make sure that you have all of the vitamins you require. The vitamin you choose should contain Vitamin C, E, D, A, B12, B6, B3, B2 and B1. Also, it should have magnesium, folic acid, zinc, iron, chromium, manganese and selenium. A multivitamin that contains all of this should give you a good basis. Also, you might want to consider taking chromium and a supplement containing essential fatty acids. How Does Eating the Right Foods Help PCOS? 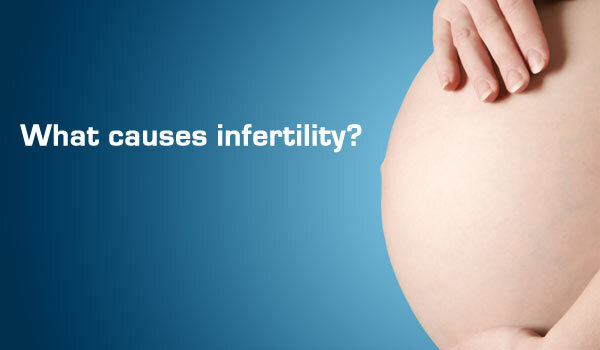 How does eating a PCOS diet help you to manage this problem? 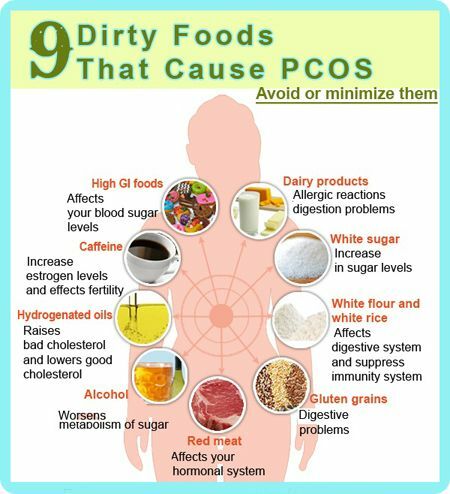 There are a few reasons why eating the right diet will help you to manage your PCOS. 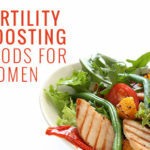 Eating these important vitamins, minerals and nutrients will help you to manage your hormones so that you will be more likely to ovulate and conceive a baby. These foods will help you to reach a healthy weight if you are obese or overweight. This will help to decrease your symptoms of PCOS. 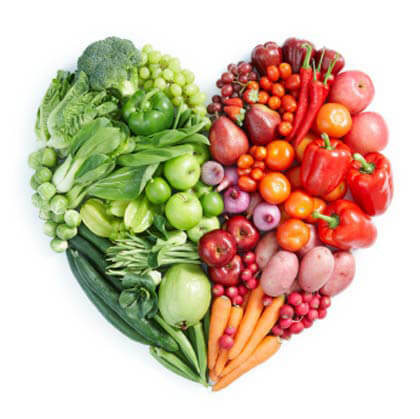 Eating low glycemic foods will help to reduce your risk of diabetes and avoid spikes in blood sugar. These foods are more nutrient rich and filling, so that they will leave you feeling full while ensuring that you eat fewer calories. 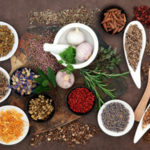 These foods will also have very important vitamins and nutrients that will benefit your overall health and make you happier, stronger, and more energetic. There is no cure for PCOS, but there are ways to manage it via diet and lifestyle changes. It is also important to get regular physical activity. Exercise will bring down your insulin levels and it will help you with weight loss. If you can, get in the habit of going for a walk after you eat a meal as this will help to lower your insulin. Also, find an activity or a sport you enjoy and try to exercise at least five days per week, for around 60 minutes per day. 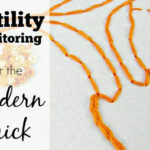 Making these changes can take some time, but the results will be completely worth it when you start to feel better, look better and improve your chances of fertility. For more advice on PCOS and how to manage your symptoms, you should talk to your doctor. 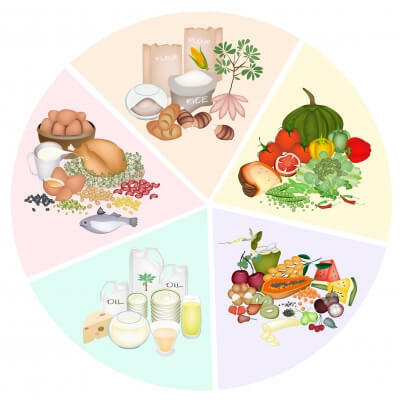 It is important never to embark on a brand new diet that is intended to treat PCOS without first consulting the advice of your health care professional. Your doctor will be able to help you put together a list of foods that you should and should not eat, which is personalised to your condition. Also, your doctor will be able to monitor your health, weight loss and the effects on your PCOS and other conditions. This will help you to pay close attention to your progress and alert you immediately of any worsening conditions.